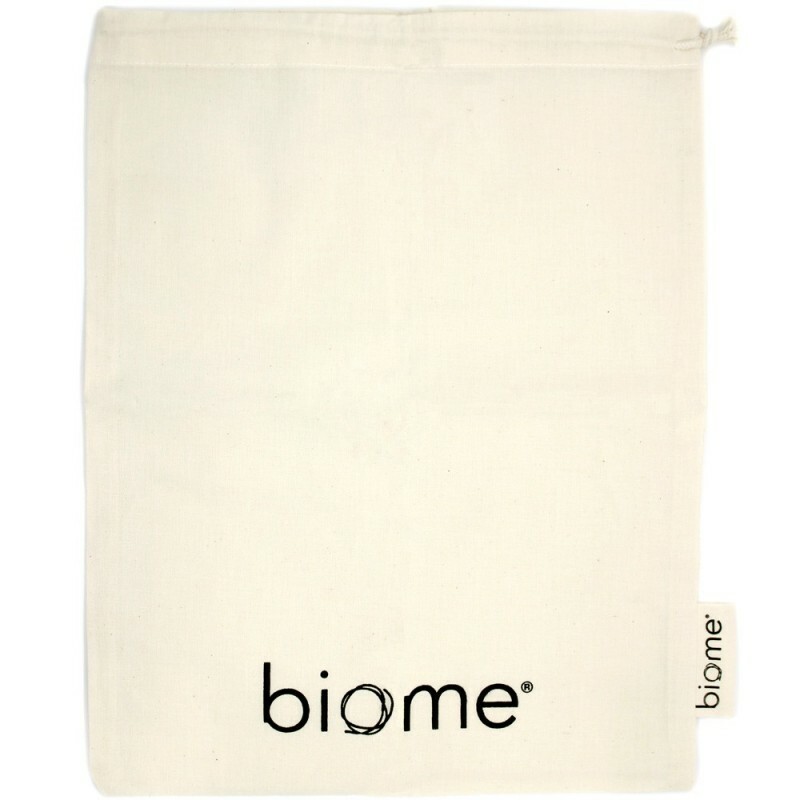 Biome's very own all natural Bread Bag - a lightweight,durable organic cotton bag that allows you to purchase and store bread without plastic packaging. The woven fabric is ideal for your bread to breathe,reducing chance of mould. GOTS certified organic cotton. Consuming less over time: Reusing a bag instead of using a new bag each time is good news for the environment. 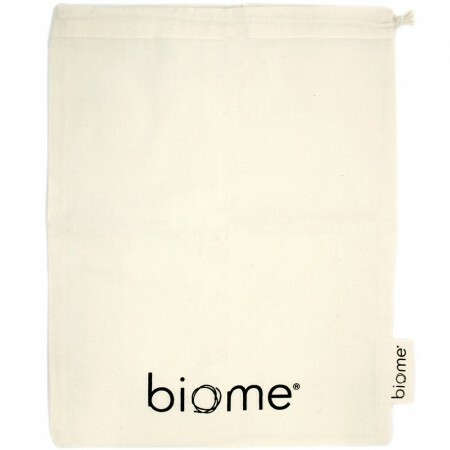 A zero waste item: Compostable, as it's 100% cotton. Certified organic cotton, so no chemicals and pesticides have been released into the environment. Sturdy and will last a long time with care. A hygienic and breathable way to carry bread, baked goods, snacks, produce, or simply keep in your bag for any unplanned purchases. Great for storing bread at home or for transporting fresh bakery purchases, but please be sure to check with your local baker to ensure they are happy to accept your reusable bag in place of a disposable one. what is the best way to store bread? Storing bread in impermeable plastic encourages mold growth because moisture can not escape, and it makes bread chewy. Bread is best stored in a bag or container that will stop airflow around the bread, but will still breathe somewhat. Let bread cool before wrapping in the bag, or leave bag slightly open until cool. Store in a dark, cool place - but not in the refrigerator, which makes it go stale faster. All bread will go stale within a few days. Then it is time to make toast; or, if it is a full loaf rather than sliced, run it quickly under some water then heat in the oven for 10 - 15 minutes to draw out the moisture so the bread becomes crusty again. 41cm long x 31cm wide. 1 x Biome Bread Bag. Made in India, where the organic cotton is grown. Final product is GOTS certified organic cotton (GOTS label attached to bag). Care instructions: Wash separately in warm water with environmentally friendly laundry detergent. Wash before first use. purchased 2 so that I can rotate them when buying bread from local baker. This has been a fantastic purchase for starting off a low waste lifestyle. I love that it is organic cotton at such an affordable price. Most importantly it keeps your bread fresh and prevents it from going stale. I’d totally recommend this to anyone as it is a small step that makes a big difference. Can be used to store bread or any other baked good. Keeps the bread fresher for much longer than when left in plastic packaging. I wash this with pure castile soap and let it air dry between uses.